It’s fine that there’s a little pandering going on, especially with the souled-out version of Wilco’s “I Am Trying to Break Your Heart,” as no working funk act would ever fault a guy for aiming to please. 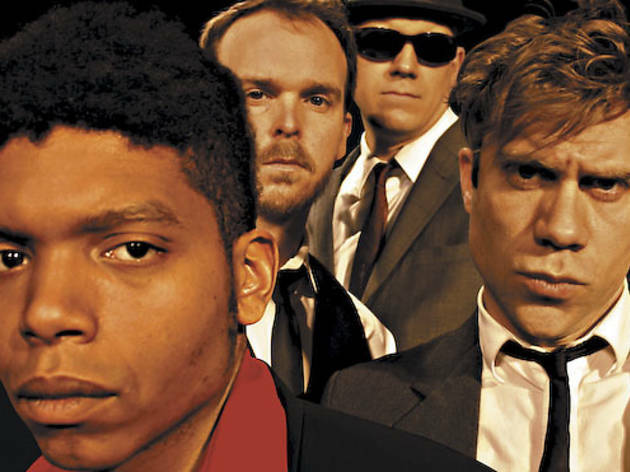 JC Brooks’s role in Bailiwick’s production of Passing Strange last spring let the local music scene in on a secret that our theater community was well aware of: He is as much an actor as a soul singer. Which brings up the thorny question: Is Brooks merely acting like a soul singer? Thankfully, no answer is needed, as R&B has always been about balancing emotion with artifice. Eddie Kendricks sang in falsetto, not truthsetto. So wherever Brooks is coming from, the fact that this album delivers functional jams without being corny means he’s as real as he needs to be. It’s fine that there’s a little pandering going on, especially with the souled-out version of Wilco’s “I Am Trying to Break Your Heart,” as no working funk act would ever fault a guy for aiming to please. A far more successful, though less demographically calculated, nod to local songcraft comes in a faithful cover of the Kaldirons’ “To Love Someone (That Don’t Love You),” a slice of genuine Chicago-style sweet-soul, a blue-light-in-the-basement bellygrinder. Brooks’s vocals on the killer cut make you wish he’d explore the intense high end of his vocals more often. 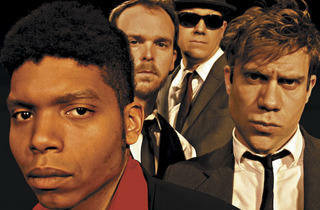 JC Brooks & The Uptown Sound play a record-release party at Double Door Friday 28.